His main fields of interest have been Cataract and Refractive Surgery. To date he has performed over 15.000 corneal refractive procedures (LASIK, LASEK, PRK, intracorneal segment ring implants and corneal cross-linking ) and over 15.000 cases of intraocular surgeries, many of them with multifocal intraocular lenses, including Cataract, Refractive Lens Exchange and Phakic ICL implants, mostly performed in Spain, the Netherlands and the U.K. 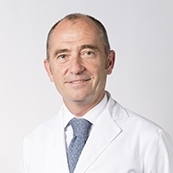 Since 1998 he is one of the leading surgeons at Clinica BavieraSpain, the largest European Ophthalmology group. He is author and co-author of many international and national articles and books chapters and has performed presentations in many national and international refractive surgery symposia, courses and congresses. After graduating from Universidad Autonoma de Madrid, Dr. Bilbao completed his Ophthalmology training in 1996 at the most prestigious Ophthalmology residency hospital program in Spain, the Hospital Universitario Ramón y Cajal in Madrid, including some rotations at the Manhattan Eye and Ear and New York Eye and Ear Infirmary. In 2018 he obtained his Ph.D. degree at Universidad Alcalá de Henares: on outcomes of trifocal intraocular lenses for the surgical correction of presbyopia. Specialist Registered as an Ophthalmology Consultant at the General Medical Council in the U.K. since 2002. Specialist Registered as an Ophthalmology Consultant at the KNMG in the Netherlands since April 2011 to 2016.